After Fantastic Beasts and Where to Find Them came out, a good number or people looked at how Newt talked and acted and started to believe that he was autistic. It’s something that many people seem to be discussing and enjoying as a headcanon, and that’s great. But if Newt is really autistic in the movie, is he good representation, and how would this expansion of the Harry Potter world deal with an autistic character? Spoilers for Fantastic Beasts below. Newt Scamander, the main character of the movie, is odd. Most people seem to agree that his first appearance is jarring. He gets off a boat in New York City and is ushered through customs, where a gruff worker begins to question him about the suitcase he had brought with him. Newt won’t meet the worker’s eyes. He’s a bit distant, voice soft and mannerisms peculiar. For a moment, I wondered how any director would possibly allow that sort of acting to pass through. But by the time the next scene rolled around, it hit me — oh! Newt’s autistic! I bring all this up only to mention that joy that I felt when I realized that Newt, whether intentionally or not, behaved very much like a person on the autism spectrum would. In a world where people are constantly punished for their autism, or tendencies from other things that might mirror autism (whether that be anxiety disorders, learning disabilities, giftedness, related conditions and disorders, or just personality quirks), it was quite refreshing to see a main character who embodied that and was not shamed for it. I feel this is particularly highlighted near the beginning of the film, where one of the characters try to reassure Newt that someone out there probably likes him. “No, not really, I’m annoying,” Newt responds. It was a sentiment that hit me hard, a mindset that I had been stuck in since childhood after multiple kids made it very well known to me that they didn’t like my obsessive, nerdy, awkward nature, which only kept me trapped in my own bubble with very few friends. However, despite Newt saying that about himself, the other characters of the movie didn’t find him annoying or generally unlikable. They befriended him with ease. The fact that he functioned so differently didn’t push them away. Instead, it ended up drawing them together. There is definitely something to be said about how many people on the autism spectrum see themselves reflected in Newt’s character. It has gotten to the point where I see people discussing Newt being autistic like it is fact, but there are some problems with people believing Newt definitely has autism. While working on this article I discussed the issue with Blackout, one of our former writers and disability studies expert, who is neurodivergent and autistic himself. He explained that he understood and even viewed Newt as being on the autistic spectrum, but he is concerned that some qualities, like not making eye contact, being shy, and not being great with people, can be written off as quirky. Basically, any character that is even a little bit different or eccentric can be viewed as autistic, but without confirmation, there is no real or authentic representation. This is a problem with the Fantastic Beasts movie in general; there was some queer coding of Credence and Graves in the movie without any real queer representation, and there were very few Black people in the movie, with house elves as the stand-in representation. Now we have Newt being coded as neurodivergent without any actual representation. You could view Newt as on the autism spectrum or view him merely as being eccentric, and that’s not exactly great representation. While Newt can be shy, not great with people, avoids eye contact, and is obsessed with a particular subject/hobby (aka magical creatures), none of these things truly show him as being autistic, though people often point to these qualities to claim that he is. Newt’s shyness could be explained by the fact that most people don’t appreciate the things he is into, like magical creatures. This could also be because he has low self esteem after his falling out with Leta Lestrange and being forced to leave Hogwarts. His tendency to avoid eye contact could be due to those same self-esteem issues. And frankly, I know many neurotypical people who aren’t good with people and greatly prefer animals. So sadly, while many of Newt’s traits can cause people to view him as autistic, all those same qualities can be explained in other ways as well. So what if Newt actually was canonically revealed to be autistic? It certainly wouldn’t change too much about his character already and would be really revolutionary. It’s rare that neurodivergent characters are included in pop culture, especially when the sole focus is not their disability. Newt would likely be one of the first action/fantasy heroes to ever be neurodivergent and that would certainly be great representation. But I am concerned with how the storytelling and worldbuilding would address this issue. The Harry Potter universe has not exactly been great when it comes to portraying any sort of diversity, and J.K. Rowling claims that wizards have the capacity to fix all Muggle issues with magic and it is just magical problems that they can’t fix. That is a major red flag. It is not okay to “fix” people with disabilities, particularly without their permission. Having a disability is not the end of the world, and someone can be perfectly happy being blind or being on the autism spectrum. It is not something that needs to be “fixed” and it is extremely ignorant to think that all those with disabilities would want to be made neurotypical and able-bodied. Combine that with the fact that we have never seen any disabled or neurodivergent characters in the Harry Potter universe and it starts to look a terrifying world where wizards just fix people without their consent. What do Hogwarts students who are wheelchair users do to get to their dorm rooms or classes with all those moving staircases? Is it required that wizards who attend Hogwarts be “fixed” in order to go to school? That’s just creepy. 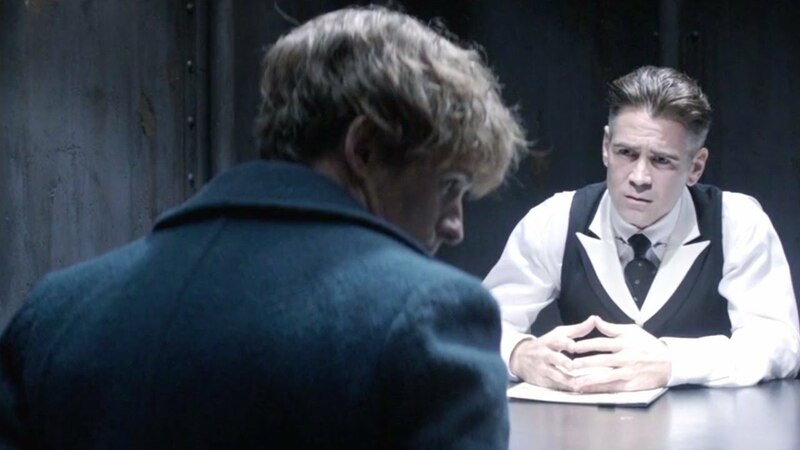 It could be potentially interesting if other wizards looked down on Newt for being neurodivergent and for refusing to get himself “fixed” in a way that would probably be considered standard by most wizards. I am concerned that like with other issues of diversity and prejudice, if J.K. Rowling did canonically put Newt on the autistic spectrum, she would not realize how such a system would affect those with disabilities. If she were to claim, like she has with other diversity issues, that wizards don’t discriminate like Muggles do and so aren’t prejudiced based on disability, it would make very little sense considering her previous worldbuilding. While it would be cool to have a neurodivergent character who didn’t have to deal with prejudice, it also would make for some more confusing worldbuilding that the Harry Potter universe already has a plethora of. There is, however, the issue of the time period that Newt exists in. While people with autism have always existed, the actual term “autism” wasn’t used until the 1940s. We need someone to state that Newt is autistic, but that term didn’t exist during Newt’s time, so what could the writers do? It could be revealed that Newt has some sort of disability without specifying exactly what it is, since the characters wouldn’t know, but that’s not the best representation either. I think it would be easy to actually ignore reality and just use the term anyway. I mean this is a world with wizards, flying brooms, and owls that deliver mail, so I think I can suspend disbelief a little more that a term that wasn’t invented until the 1940s could exist in the 1920s. There isn’t much harm in ignoring history here and giving people some much needed representation. Overall, I think Newt being neurodivergent would be great representation, but sadly, I don’t really have faith that JKR or Warner Bros and if they attempted to portray Newt as neurodivergent it would probably not go well. However, I would prefer they try, rather than simply allowing Newt’s character to exist in this weird space were he could or could not be on the autism spectrum. On the other hand, while trying would be nice, sometimes bad representation is not better than no representation, especially when it comes to disabilities. Bad representation has contributed to violence against numerous groups of neurodivergent people. It seems like with some effort the Powers That Be could easily give us some good representation through Newt, as long as they did some research and got input from those who are actually neurodivergent. It’s really not that hard to do. This entry was posted in Disability Studies, Harry Potter and tagged Autism, autism spectrum, disability representation, disability studies, Fantastic Beasts and Where to Find Them, harry potter, movies, Newt Scamander by Lady Geek Girl. Bookmark the permalink. The statement that “[w]hile people with autism have always existed, the actual term ‘autism’ wasn’t used until the 1940s” appears correct based on the published research of Austrian-American psychiatrist Leo Kanner and Austrian pediatrician Hans Asperger, but, they didn’t originate the term. Swiss psychiatrist Eugen Bleuler coined the term in 1910 ( https://en.wikipedia.org/wiki/Autism#History ). Given that fact, it would be quite easy for J.K. Rowling and, certainly her readers, to describe Newt Scamander as having, and knowing he has, autism. If witches and wizards can’t fix nearsightedness, why would they be able to change blindness or autism? Even attempts at getting rid of pimples always go awry. I just wanted to thank you for writing such a comprehensive article regarding Newt and the Harry Potter universe. I appreciate the fact that you point out the lack of disabled or neurodivergent people in Harry Potter, but I don’t think it was an intentional oversight. Because JK Rowling is assumed to be allistic (or neurotypical) and does not appear to have any disability, it is simply her lack of experience with the subject that caused her to overlook these people and the difficulties they deal with on a daily basis. I’m not saying this is an excuse, but as explanation. That said, the Newt that we saw in Fantastic Beasts was created by the script writers and, as such, was not entirely a creation of JK Rowling. Whoever had a hand in writing Newt may have far more experience with neurodivergent people and wrote Newt to display some autistic traits. In any case, I just wanted to provide another viewpoint on Newt’s personality. I do hope that his character isn’t modified in any way for future movies and even if he isn’t autistic, the fact that people see themselves in Newt is a positive step forward. The fact that it isn’t canon doesn’t make it untrue. As they say, beauty is in the eye of the beholder. My instinct is to say this might be one instance where Word of God declaring that Newt is in fact canonically autistic would suffice, because unlike Dumbledore’s “so subtle as to be non-existent” queercoding, plenty of people are already interpreting Newt’s behavior as proof he’s autistic. Neurodivergent representation is also different from queer representation in that simply stating a character is queer does nothing to help fill the lack of representation of queer relationships. Whereas if JK Rowling and the movie producers stated that Newt is neurodivergent and/or autistic, all they’d have to do is continue the same characterization that it seems like a decent number of people already see as a good depiction of a person on the spectrum. But I’m open to being convinced I’m wrong about that. It would certainly be groundbreaking and exciting to have in-universe dialogue describing Newt as autistic.